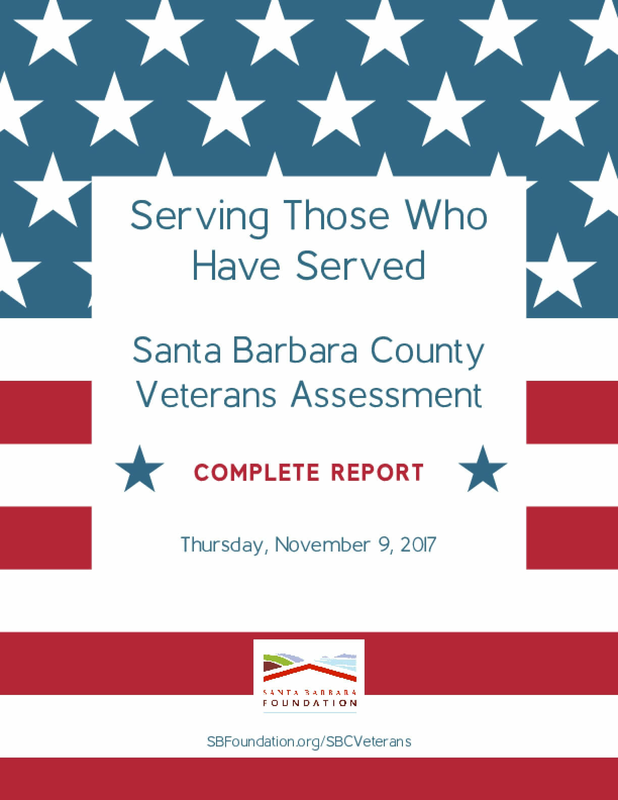 This assessment focuses on the veteran population of Santa Barbara County. This assessment presents a comprehensive review of the pertinent demographic and landscape data, for important context, and provides observations about qualitative findings that may inform improvements to policies, systems, and organizations, in service to addressing the needs of those who have served. Where possible, this paper distinguishes between issues facing veterans that are service connected, and issues that affect veterans which may have little or no relation to service. Where appropriate, data, observations and recommendations pertain to active or reserve service members, military families, and/or veterans' families, however the focus of this assessment is specifically on veterans, not those currently serving or the family members of service members or veterans. Copyright 2017 by Santa Barbara Foundation. All rights reserved.